Discover the Breakthrough Solution to Quickly Curing your Sugar Cravings and Making Them Disappear in 14 Days or Less...GUARANTEED!! Read this message if you want to Stop Fatigue, Reduce Mood Swings, Stop Mental Fogginess, Shed Some Excess Fat, Reduce PMS Symptoms & Hot Flashes, Sleep Better, Reduce Depression, Have More Energy, Feel Great & Take Back Control of your Life! Imagine being able to walk right by sugar that used to tempt and shake your head with a smile and say, “No thanks, I’d rather not eat that stuff.” Not because you are fighting within yourself to not eat it but because YOU DON’T WANT IT ANYMORE…. Imagine not even thinking about sugar anymore…. I know, I know…right now it might be hard to imagine BUT it can happen and it does to thousands of people who do the same things that I show you how to do. Why? Because I understand, I was a sugar addict for 30 years. I read all kinds of books for the last 6 years of those 30 years but they just didn’t seem to help me to stop wanting sugar. Sure you might be able to muster up enough will power for a day to not eat it, actually I couldn’t even do that, but to not want it or think about it anymore? Now that was not happening for me no matter what I read or tried. Are you like Ann who just felt totally out of control with sugar? Not only with eating it but it seemed to pre-occupy her mind and other areas of her life were out of control. I was like that too and I HATED that feeling. I felt like I was trapped, trapped by my cravings and trapped by my unending desire for more and more sugar that never seemed to be satisfied. I would tell myself that “one time” or “last time” would do it for me but it always left me wanting more the next day. It was like this bucket I kept pouring sugar in that a huge hole in the bottom and it kept falling out the bottom….so I had to keep putting more back in, only to be left disappointed. The crazy thing is I am a personal trainer and health expert who has helped thousands of people get healthy but I could not stop eating sugar. Not even my husband knew of my sugar issues until he read my book! He was shocked! The great news, my friend, is you actually can get to a place where you don’t even want sugar anymore, you don’t think about it, you can walk right by it and laugh at it instead of running to it and you no longer have cravings. Yes, that really does happen! That is why I made this simple 14 day system to help you. It’s the same exact way that I overcame the constant cravings for sugar and it’s the same thing that can help you too. “When I first thought about getting off chocolate I thought I would be miserable. Wow, was I wrong; it’s been awesome and so worth it. I cannot stress enough how worth it, it has been. I was always the one that said, ‘I will NOT live without chocolate; it’s a woman’s best friend and I will have it!’ After doing Samantha’s program, I haven’t had chocolate in over 4 months and I REALLY don’t even miss it! I used to have it every day and didn’t think I could be without it. I didn’t believe Samantha when she told me I wouldn’t crave it anymore and I did NOT believe her but after doing her program, I found out she was telling the truth! I don’t even THINK about chocolate or sugar anymore and I was really addicted to it. I am so grateful to Samantha for I tried it on my own before and it didn’t work until I got on her program. Also, I have a 5 year old and we were having a hard time getting him to listen, he was bouncing off the walls; he was driving me crazy. When I started to get free from sugar I thought maybe it would help my son as well so I stopped giving him all the sugary snacks. Right away I noticed a change in his behavior, all of a sudden he was calming down and he is listening better. It’s amazing how much easier it is being a mom and I am also amazed at how much less sick my kids get now; less fevers and colds.” — Kim – former sugar addict for 20 years! 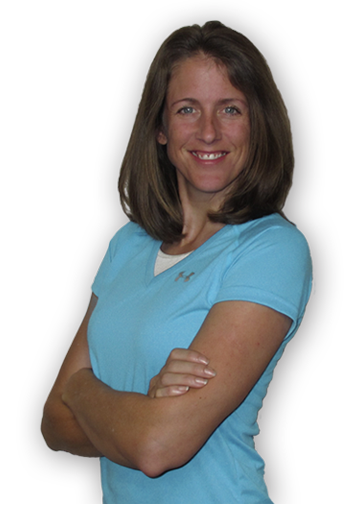 Watch Kim Hill tell you how great it is to be free from sugar (this is a different Kim then the one above). Kim was a REALLY bad former sugar addict AND she is also 6 ½ months pregnant, has been off sugar for 9 months and is not even craving it pregnant! That is amazing! “I ate so much of it I was called by everyone in my office the ‘Chocolate Lady’. I felt there is NO WAY Samantha was going to get me off of it for I had been addicted to sugar ever since I was a child. As an adult I always heard that women need chocolate so I figured it was okay and I didn’t even know I was addicted to it. But then I got to a point where I could not go a day without eating lots of chocolate; I would crave it constantly and binge on it but the result was always the same, feeling terrible. Now after doing Samantha’s program I have lost the last 15 lbs. that I could NOT lose for 10 years, I have more energy so I can run 3 miles a day, I feel good about myself, no more headaches and I am happy. My life has changed from her program, it really has and I am so glad I decided to do it even though I was a little nervous to. Samantha’s ‘Sugar Addiction Solution’ has really been the solution for me and has made such a positive difference in my life.” — Kathy – former sugar addict for over 40 years! Watch Kim and I – two FORMER sugar addicts talk about how great it is to be free from the control of sugar in our lives (she is 6 feet tall so I look pretty tiny next to her). She also wanted me to mention what a huge part prayer was personally for her in overcoming her sugar addiction. 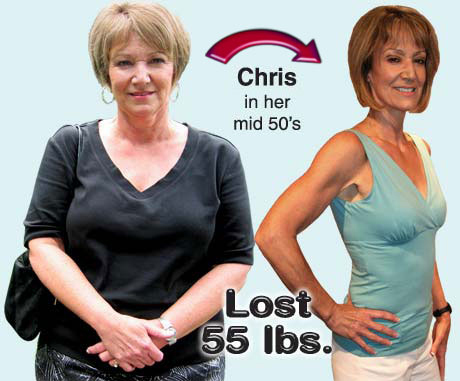 Along with exercise and eating healthier, she also lost 55 lbs. and went from a tight size 14, dropping 6 sizes in only 7 months! Check out her before and after pictures! 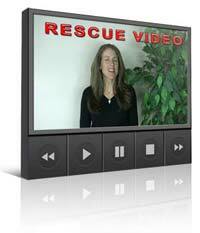 Watch Ann explain how she was free from the control of sugar in her life in ONLY 14 days! I don’t feel bloated! I used to feel bloated all the time and now my stomach doesn’t look bloated anymore. I was always fighting the stomach issue but now that looks so much better and I’m just really happy about it! I give Samantha all the credit because I know I never could have done it, unless I heard her talk about it, and it gave me the courage to do it because I don’t think I would have done it; I really don’t. I have tried and it has never worked. Samantha is such a real, transparent person and I don’t think I would have had the courage to do this if I hadn’t heard about her struggles and hearing her openness about it. 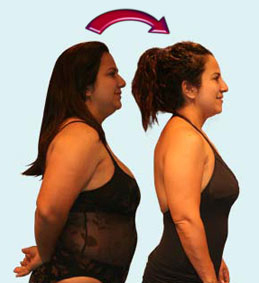 When Angie was turning 40 in the New Year of 2010 she decided she wanted to see some changes in her body. She was addicted to drinking soda and with easily getting rid of that, exercise and eating the 14 day plan I have for you as a bonus, she lost 35 lbs. in only 4 months! I was addicted sugar ever since I can remember from childhood. My earliest memory of sugar was when I was 5 years old living on the beach in California. We were begging my mom for sugar so she had us run all the way down to this blue barrel at the end of the beach which seemed like a mile for a 5 year old. We had to touch it and run back and then she would “reward” us with Elephant ears she would bake in the oven (dough covered in cinnamon and sugar). As the years progressed my sugar addiction was fed by my grandparents always having chocolate and sweets for us grandkids and to this day both of my grandmas are still addicted to sugar. I ate sugar all the time and when I was 8 years old, my sister and I would go through the cupboards to find a box of cake mix and hide on the floor eating the batter, throwing the box away hoping my grandma wouldn’t find it. Then when I was 10, I found myself scrounging for change in the couch seat cushions going to the local drug store with my sister and buying 10 chocolate bars so we could gorge on them. In my early teens I would buy bulk boxes of candy bars and hide them in my desk, eating them all day long. I even snuck out of my house as Casper the ghost with a sheet on my head when I was grounded on trick or treat day just so I could “get my fix”. My sugar addiction got worse and as an adult as I turned to food to deal with stress. The sugar just seemed to take over; I felt like some kind of addict. I would gorge on pastries, cookies, chocolate; basically anything I could get my hands on. I felt like it controlled me, like it “talked” to me and if I felt a craving I felt like I HAD to give in. Do you know what that is like? It’s the worst feeling but you don’t feel like you can do anything about it, do you? It felt like a drug! I was also an impulsive eater, if I saw it, I felt like I HAD to eat it; I honestly had NO self-control. It was so bad that one time I was craving brownies really bad so I left the house to get them…and cookies to bake….and a cake to make. Oh boy! I ate almost all of it in one night and had some leftovers in the morning of brownies but what happened next shocked me! When I got up to have brownies for breakfast I pulled off the towel I had over them on the counter and found they were covered in red fire ants! What was I to do? I said to myself, “You know I could probably brush those off,” so I literally went out outside in my yard brushing off thousands of red fire ants as I was fighting them off from attacking my hands. It was in that moment I realized, I really had a problem! The ironic thing is the sugar addiction continued even as a fitness professional who is a personal trainer and weight loss expert! I was working at a gym where I was the number one producing personal trainer out of 2000 trainers and I was at the height of my sugar addiction that NO ONE knew about. One time at that gym, they had their 20 year anniversary party which meant lots of cake. I grabbed this huge sheet of cake that was literally 3 feet long by 2 feet wide and I hid it in the cabinet in the break room. I ate nothing but cake for THREE DAYS! I was hiding back there hoping no other staff was going to walk in and find cake on my face! I did throw in a little chicken just because I knew I needed protein. Talk about manipulating the system! 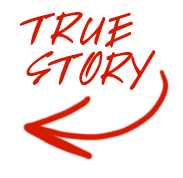 Now you may relate to those situations I have dealt with or you may not. Maybe you just eat a little bit of sugar everyday but you also don’t feel like you stop and just wonder why don’t feel good. You have the ups and downs and cravings and crashes. I went through that too. No matter what level of sugar addiction you have, I can help you because I have been one of the worst sugar addicts I have ever met! The sugar addiction had control over my life. I had all the head knowledge of what to do, I was a health expert for crying out loud but the addiction to sugar took over and I didn’t know how to stop. I would try to stop eating it but nothing seemed to work. You know those things you say, “That’s it. I am never eating this again!” Then you are good for a day till the cravings come back. Then it’s as if all morals go out the window and you just don’t care anymore. The urge to eat it seems stronger than your desire to stay off of it. The bizarre thing was in 2004 something happened and I finally reached a point where I didn’t binge on regular food anymore; that was a miracle I got over that because I used to eat about 4000 calories at a time. But the sugar addiction didn’t disappear; I struggled with that for another 6 years! For a few years, those were some of the toughest years with sugar addiction I had experienced, going on and off of sugar. I actually did that about 50 times over that 6 year period. The ups and downs, the emotional roller coaster, the constant cravings, feeling bloated; I was miserable. I tried everything: Candida cleanses, detoxes, finally going off of it for a few weeks but it always called my name back to it. It was like this dysfunctional relationship that I just kept going back to for the good part so easily forgetting about the bad parts that were really negatively affecting my life. Not only from having sugar seem like it controlled me but I am a health expert! People paid me money to help them get healthy and I also had my own health talk radio show! I was rather embarrassed knowing what a hypocrite I felt like but I just didn’t know how to stop. Do you experience that too, wanting to stop but you don’t know how? Have hope because I have found the solution! Then one day about 7 years ago, I finally was so fed up with the constant struggle, I kind of “woke up” and decided to start reading about what sugar was and what it did in the body. I had never done this before and I was so shocked to find out how toxic and poisonous many experts believed it was. The more I read, the more I was convinced that I had to figure out a way to stop eating it but I was scared to; I didn’t know how. I honestly thought my life would be boring without it! From what I read I was also encouraged to understand that I wasn’t just some freak that had no self-control, sugar was actually doing things in my body that was causing me to crave it like an addict. But I didn’t want to stop eating it because I didn’t know what my life would be like without sugar and I thought it just wouldn’t be complete. But the more I studied it, the more I knew I had to find a way to stop eating it. Then finally, for the first time in my life….I was able to stop eating it! It was like a miracle! And I literally stayed off it for about 6 months. I felt so amazing I could hardly stand it! Then….I went on vacation. Uh oh. I wasn’t ready for that one! And it all began again. I wasn’t prepared for what would happen when I started eating it again and I found myself addicted for another few miserable years seeking, crashing, craving…all over again. I was so mad! How did this happen? Everything I tried again failed. That was so frustrating! Before long I found myself back to over indulging in sugar until I felt ill, continuing to tell myself I wasn’t going to eat it anymore but honestly I just I didn’t know how to stop the sugar addiction I felt trapped in. That really stunk because sugar also made me so tired all the time and very irritable. I was so fatigued I would literally fall asleep at stop lights in my late twenties and as a personal trainer! The sugar addiction was zapping my energy and I didn’t even realize it. All I ever really wanted to do was be free from the control the sugar addiction had in my life but I just honestly felt trapped. Like I was a prisoner in my own body and was chained down by this hold sugar had in my life. I was some fitness expert who secretly harbored this sugar addiction that NOBODY knew about; not even my husband. I had this love/hate relationship going on with sugar. I loved the flavor and the high but I hated the cravings, the crash and the feeling of being out of control. I found that no matter how much I ate, it never satisfied me and I always wanted more. Then in 2008 I finally felt like I had had enough. You can only beat your head against the wall so many times before you hopefully realize it’s not a good idea to do that. I had cried in my car enough times, I had felt ill enough times, I had said I was going to stop eating it enough times. I had eaten so much sugar that I felt like it was coming out of my skin. I knew by the way I felt, this stuff was slowly sucking the life out of me! I felt like something was wrong with me and I was sick and tired of feeling that way. So I ran with that feeling and I started to come off of it, the best part is it was a lot easier this time because I really changed my approach of how I came off the sugar. With these new tactics I was using, the experience started to change when I did eat it, it wasn’t even enjoyable anymore and it didn’t even taste very good. This was shocking to me. At that moment I realized there are better ways to come off of sugar and not crave it then the way I had done it before. Many of the books I read seemed so strict and freaked me out that I would never have sugar again. I didn’t like that approach. They didn’t teach me about my relationship with sugar and why I really had the addiction, they just said I was hooked because of these other reasons. I found that was not really true. Within the next year I had experienced sugar in a completely different way. I had not come off of it totally but it slowly began to lose its control over me as I ate it less and less. I would eat it and I felt like I HAD control over it! I could take a few bites and stop and I could say no in situations I used to be tempted. Now that was something different. When I was in the midst of my sugar addiction, I could count on one hand the times I had EVER had sugar and it not turned into a problem. It was like once that door had opened and I had sugar, I wanted more and more and it was like this freight train that couldn’t be stopped destroying things in its path. Over the next few years, I tracked, tested, and tweaked each interaction with sugar. I wrote it all down, everything to the “T” of what I felt, thought about and experienced when I craved it and when I gave in; basically what the whole experience was like. I finally felt like I had reached an understanding of sugar that I had never had before. Instead of just stopping it cold turkey, I learned over those few years all of the ins and outs of sugar: why I ate it, why I craved it, how I got myself to stop eating it and how I could walk right by it and not even want it. And as of November 2009 I had finally overcome my addiction to sugar! I was FREE from it and it is so exciting! It’s so wonderful now to be able to eat it every once and a while and NOT EVEN crave it! And most of the time, I stop at a few bites because it’s too rich and sweet. I don’t EVEN want to eat the rest of it! There you have it…that is how I came up with the Sugar Addiction Solution. I have done all the hard work and keeping track of the entire experience I went through with sugar over the last few years so now you can be free from a sugar addiction too! BUT you are going to do it in 14 days when it took me a lot longer since I didn’t have these types of resources you are getting. Life is so much better when you feel like you have control and you have broken out of that frustrating sugar addiction and are FREE from it. I can’t wait for you to experience the same thing! 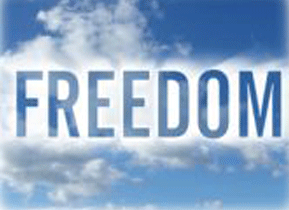 And you will be free from it too…. That is another reason why I am practically giving this away to you! These are my best, most effective and proven tactics to come off a sugar addiction…here they are. temperament and more self-control, better skin! Wow! Isn’t ALL that worth at least trying to be free from sugar for 14 days? being tired, having headaches, cravings and frustration. This manuscript is loaded with the most up to date, “what’s working now” powerful strategies and systems to get free from the control of sugar, once only available to my top paying coaching clients. These pages are loaded with so many great ideas that you’ll never run out of tools or ways to keep yourself focused and excited about this new freedom of being off of sugar. Listen to this short meditation in the morning to get your mind ready for the day and in a healthy frame of mind to keep you focused and feeling powerful. Transforming your mind to thinking like someone that doesn’t need or want sugar is just as important to actually stop eating it. You can also listen to this at any time of the day you feel like you need it. By tracking your success each day without sugar, you can watch every day how much easier it gets with this handy dandy calendar. Its small enough you can stick it right in your purse or lay it on your desk at work. Checking off each day you made it will give you a great sense of accomplishment and show you that really can beat this addiction. You made it 14 days and I want to celebrate with you! Print it, write your name on the certificate and take your picture holding it next to you. Then email me the picture so I can see it too! 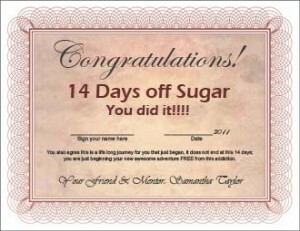 Having this certificate seals the deal and furthers your total success of overcoming the control sugar has had in your life. It shows you that you did beat the sugar addiction and you can continue to do it as a way of life. So you are not eating sugar, now what do you eat? This is a step by step 14 day plan that shows you exactly what to eat with a detailed shopping list and recipes. The key to this plan is simplicity and using items from one meal in another so it makes eating quick and easy. This 14 Day Delicious menu plan is something that has also only been available to my top personal training clients, until now! Here you can journal your experience through the process. Getting in touch with your emotions and thoughts will give you great insight to how to really overcome this sugar addiction. This journal has quick, easy laid out entries to just check in and see where you are mentally, emotionally and physically. MOST people find when they get sugar out of their system, they do NOT crave it but it’s better to prepared IF you do. In this video I show you exactly what to do if you are in a state of emergency while you are coming off sugar in the first 3 days. This quick video will help to get your head in the right place and get you right back on track. The audio of this video is also in the bonus audio set below. 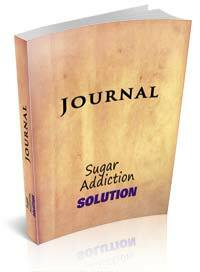 Take the support of the Sugar Addiction Solution with you anywhere you go. As a special bonus, and to make sure that you have the most cutting edge system to get free from sugar, on hand, no matter where you are. 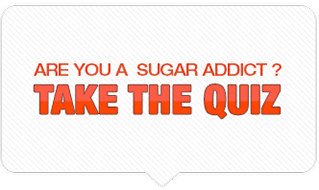 I’m giving you the entire Sugar Addiction Solution program on easy to listen to MP3s. Now you can watch the videos anytime you want AND listen to the program on your iPod, in your car or while you work out. Getting free from a sugar addiction has never been easier. I wish I had this when I was coming off of it! Listening to other people who have overcome it can be very valuable for you to hear. It inspires you to believe that you can do it too! Friend, I’m in a position to do something for you that no other person can… I’m going to give you the solution to break free from a sugar addiction so you do NOT crave it – just like I did for myself and for thousands of other former sugar addicts. You get everything for a small, one-time investment of only $37. And believe me when you see the quality of this product, you will be shocked you got it for this price; I guarantee for LIFE you are going to love it! Best of all you get the entire program instantly in high resolution video tutorials which you can watch online or download directly to your computer. You don’t have to wait for shipping. Just click, buy and start overcoming the control of sugar in your life – instantly. And you’re fully protected by my life time money back guarantee. If you don’t absolutely love this program and have great success with it, I’ll issue you a full refund – no questions asked. For only $37, less than the cost of a few times indulging in sugar, you get all of the PROVEN and TESTED for you bonuses to be free from a sugar addiction. Stop wasting your valuable time and effort being frustrated another day with a sugar addiction. 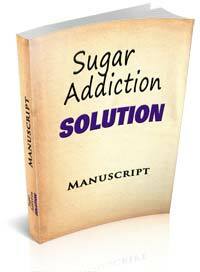 Order the ‘Sugar Addiction Solution’ now, before you suffer one more day. P.S. Just to show you how much I believe in this program and the incredible results it’s going to deliver to you, I’m going to do something I’ve NEVER done before — something 99% of all other people offering products would never do (mostly due to a lack of confidence) — I’m backing the ‘Sugar Addiction Solution’ with the Lifetime Money Back Guarantee on the ‘Sugar Addiction Solution’! If You Don’t Love this Program, You Have To Take ALL Your Money Back! That’s right! If you’re not satisfied with the incredible results the ‘Sugar Addiction Solution’ is going to bring your way, you can get your entire investment back, down to the last penny. And you can ask for that refund at ANY TIME, forever. Most people that offer products might give a 30-Day or (like I used to) a 60-Day Money Back Guarantee on their programs, which is fine — but it leaves some doubt, doesn’t it? If their program is so good, why is there a limit on their money-back guarantee? That’s why I want you to know the ‘Sugar Addiction Solution’ is LIFETIME-GUARANTEED. It will work for you. It will deliver you the results you want. And if you’re still not happy, you simply send an email to our help desk and within 48 hours, your refund will be fully processed and the money back on your credit card or bank account. It really is that simple. So take advantage of this massively bold offer I just put in front of you and match it with your own — do something equally big for yourself, for your freedom from the addiction to sugar today– get the ‘Sugar Addiction Solution’. This is EVERYTHING that comes with it, for ONLY $37! 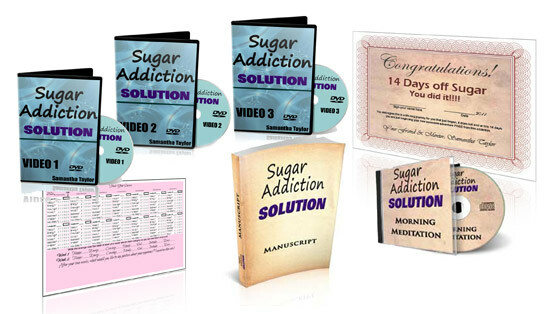 And remember because the ‘Sugar Addiction Solution’ is downloadable, you’ll be able to access it just minutes from now, going through all of the great resources that are your complete support system for the next 14 days. No waiting around, no hassle, no problem. And of course, with the Lifetime Guarantee I put on the ‘Sugar Addiction Solution’ you have absolutely no risk today. As cliché as it is, you literally have nothing to lose and a TON to gain; feeling great and losing the negative side effects of sugar in your life! If you haven’t joined the thousands of others worldwide by trying one of my programs yet, then this is your time, right now. The price is right, the results are just waiting for you and the money-back guarantee is for Life! Stop wasting your valuable time and effort on horrible ups and downs of being addicted to sugar. 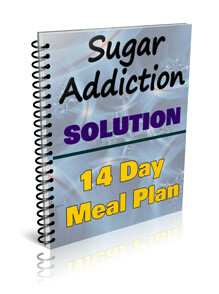 Get the ‘Sugar Addiction Solution’ today before even more time and frustration is wasted. P.S.S. 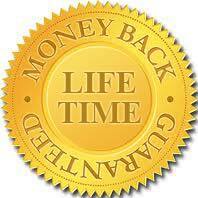 Remember this is a proven system duplicated time and time again with amazing results. I’ve done all the work for you and I’m giving you my best strategies so you can be free from a sugar addiction too. Don’t wait, because this program WILL double in price very soon and you’ll miss out. And when you see the quality if this product, you will know why it’s going to cost twice as much.